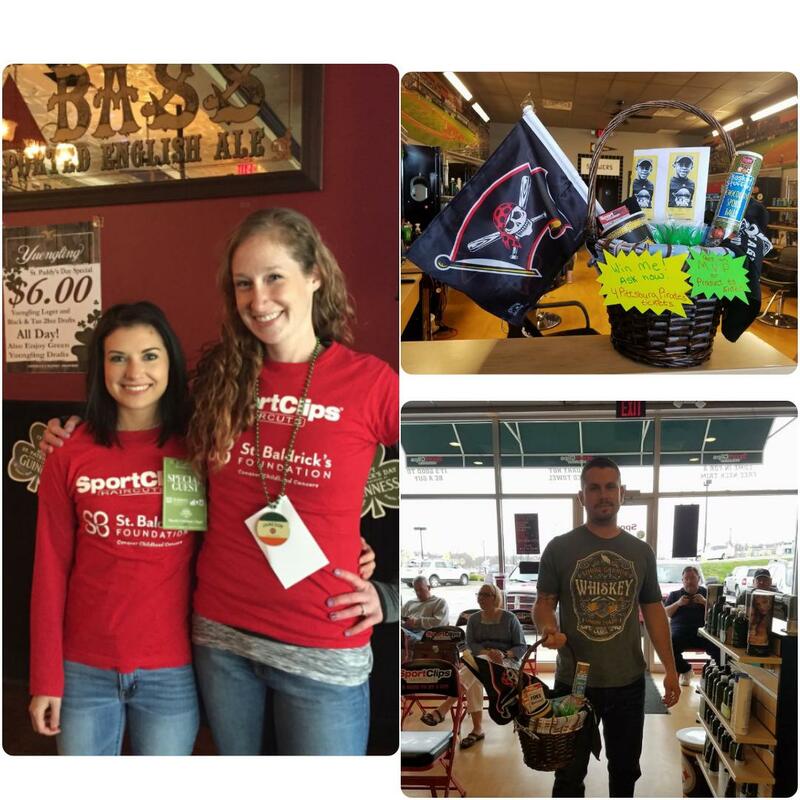 Sport Clips Haircuts of Hermitage Crossing believes in putting our values in action! To support and honor our nation’s heroes, Sport Clips Haircuts of Hermitage Crossing annually raises funds for the VFW’s Sport Clips Help A Hero Scholarship program and we serve as the primary sponsor of the Ageless Aviation Dreams Foundation, which provides “flights of a lifetime” to WWII and Korean War veterans. We also support the American Red Cross in their efforts to collect life-saving blood and platelet donations. Sport Clips Hermitage Crossing was proud to participate in the St. Baldrick's Foundation's, Brave A Shave for Kids with Cancer Event https://www.stbaldricks.org/events/mypage/96/2017 held on March 11, 2017 at Claddaugh Irish Pub in Pittsburgh. http://www.claddaghirishpubs.com/pittsburgh/ Our stylists Heather and Abby volunteered at the event and raised money for local children fighting cancer. http://www.chp.edu/ Sport Clips is proud to be the national sponsor of this event. It was a fun day for a great cause. A special thanks to all of our clients who generously made a donation. Next year we hope to get some clients to volunteer to shave their heads for the event. On April 14th we pulled a name for a winner of our East Basket Giveaway! The winner got a basket full of goodies, including a Jolly Roger, Pirates gear, free haircut coupons and Pittsburgh Pirates Tickets! Our stylists had a great time getting clients to participate. Next year our basket may just get a bit bigger!